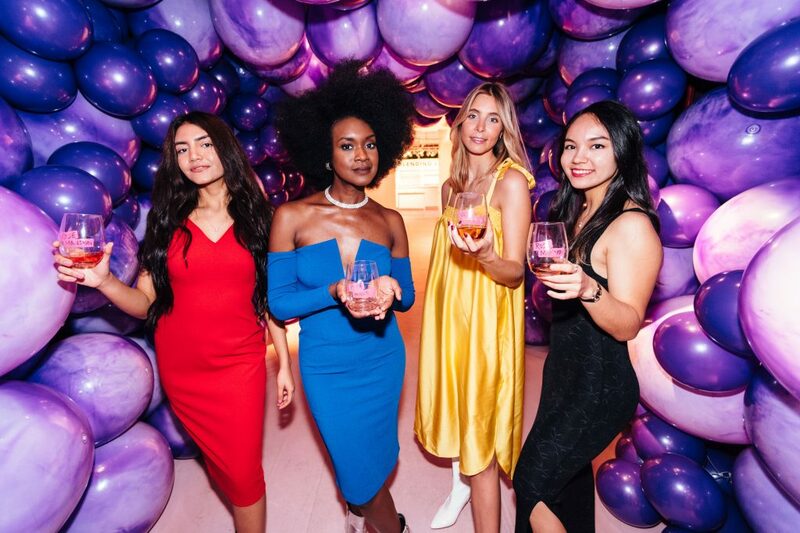 Rosé Mansion, the wine tasting experience dedicated to the history and allure of the pink-hued, warm-weather favorite, launches an all-new experience for 2019. Building off of last summer’s sold-out run, guests looking for a shareable and fun experience that takes wine tasting and education to a whole new level will have multiple opportunities to dive into the 7,000-year history and resurgence of rosé, one of the most popular wines on the market today. The all-new ​Rosé Mansion​ will bring the pink from around the world to a picture-perfect experience in New York City. Taking over 32,000 square feet (over twice the size of last year’s Mansion), Rosé Mansion will feature a labyrinth of 14 rooms for wine lovers to explore, learn and ‘gram, including Cleopatra’s Palace, a 1960s-themed Acid Test, and a vintage Airline Lounge. 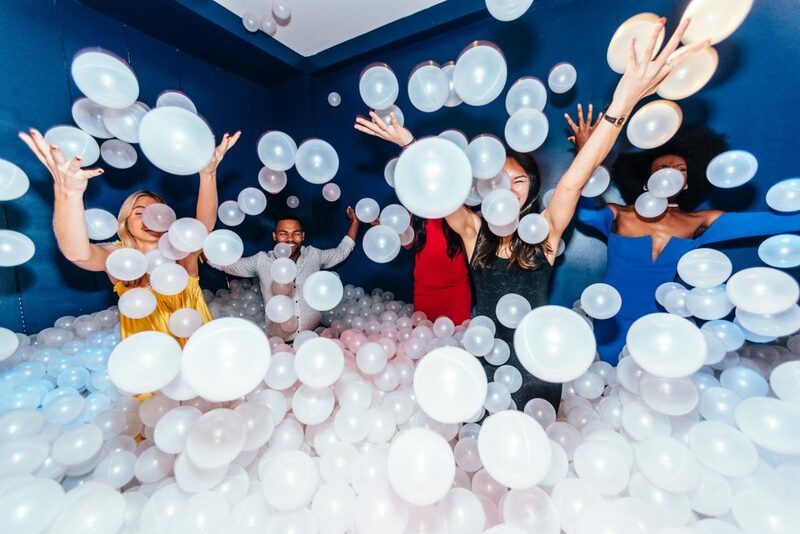 Following a self-guided tour, guests can enjoy the Mansion’s “RoséLand.” Expanded extensively for 2019, RoséLand is part playground, part party space, where New York’s largest selection of Rosé wine meets the ultimate celebration destination. 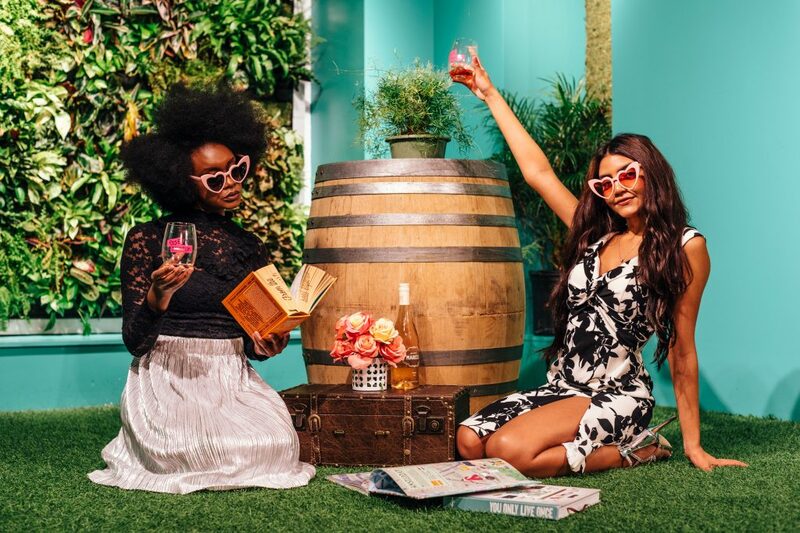 Attendees can purchase bottles and glasses of their favorite wines and other beverages while enjoying private cabanas, a tree house and picnic area, tacos, and snacks from Taco Dumbo​, and interactive elements such as chandelier swings and photo booths. A retail space and gift shop, open to the public, rounds out the experience. Vineyard Installation​: Soon after arriving, guests will be transported right into the middle of a vineyard, surrounded by rows of grapevines. After walking through a mirror-lined maze, each guest picks up their own, personalized Govino wine glass for their tasting journey. Choose Your Own Adventure Sweet Wine:​ Guests will follow a flow chart to find their own biological preferences for sweet or bitter flavors. At the end, each guest’s tasting sample will depend on how they answered the questions. Cleopatra’s Palace: ​Go back in time to Ancient Egypt to learn about Cleopatra’s penchant for Brachetto wine and live like a queen. Guests will lounge on thrones while they sip Brachetto in a truly luxurious sensory experience, as the scent of spices and oils from Ancient Egypt mingle with lush fabrics, art, and artifacts. Celebration Room: Rosé is made for celebrating, whether it’s birthdays, weddings, graduations, or just every day. 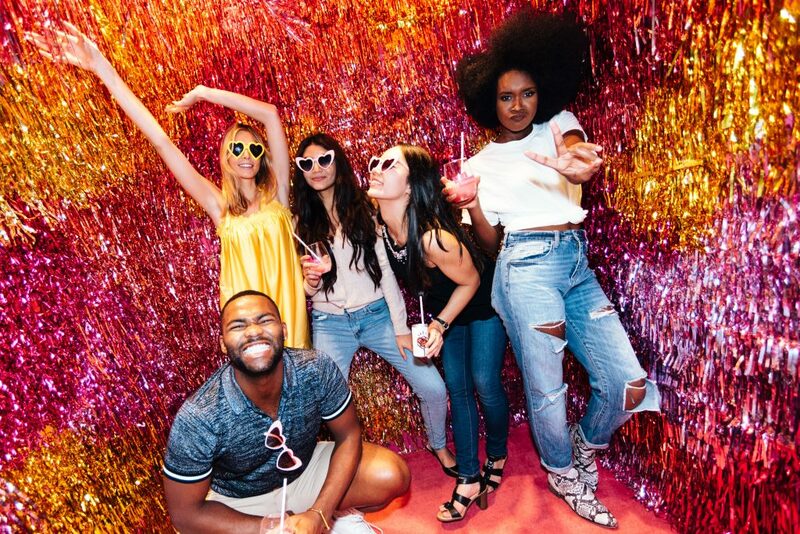 Glitter cannons, a giant cake, giant furniture, bright colors, firework imagery, and other surprises will make each guest feel like the life of the party. Traditional Winery:​ Drink wine straight from the tank as Rose Mansion ambassadors share details on how wine is produced. This room will have giant wine barrels and the look and feel of a traditional wine tasting room, with infographics and dioramas explaining the wine-making process. In addition to the wine tasting tour and access to RoséLand, Rosé Mansion will offer an ongoing series of wine tasting workshops, touching on rosé varietals, unusual grapes, Wines from New York State, France vs California, Southern Hemisphere Favorites, and an Exclusive Champagne Tasting. Rosé Mansion’s new home takes over the entire second floor of the Manhattan Mall, where it will have a private entrance and address at 1​11 W. 32nd Street,​ near Penn Station. Tickets are on sale today, April 16th, and range from $35–$45, but if you buy before April 21st you get a $10 discount on all ticket purchases. Food, wine, and private cabanas in RoséLand can be reserved for an additional fee. 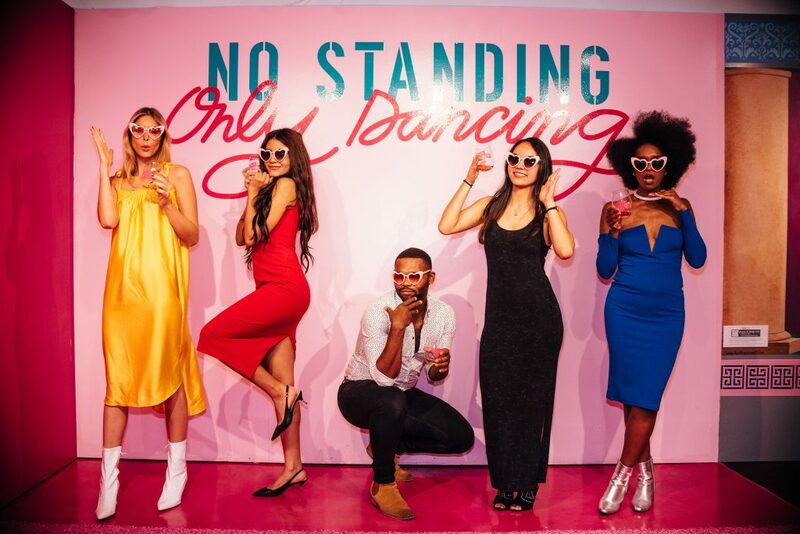 Tickets include access to the Rosé Mansion experience, eight wine tastings, a Rosé Mansion collectible pin, a Rosé Mansion wine glass by Govino​, as well as access to RoséLand.